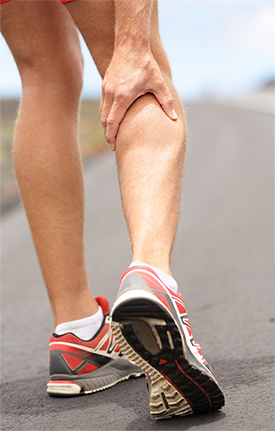 Runners: Are You Injured? Here’s the Secret Solution You Need! Don't train through injury and don't think wishing it away will solve your problem! And what IS that secret solution? .....which is something you probably don't want to hear. I get it. Listen up: if you're injured, you've got a real problem. No, it isn't life or death.....but because you love to run, it's a real problem. And the solution to your problem ISN'T as easy as just "resting and letting it heal." Yes, the words, "I'll just rest it and let it heal" is, without a doubt, the most common strategic response I hear from injured runners, on how they will solve their injury woes. Allowing time for your body to rest and heal is hardly ever a bad idea, but it is foolish to believe (or hope, or pray) that simply resting and taking time away from running is all you need to overcome your injury. Hardly ever works that way, I'm sorry to say. Until you determine the reasons WHY the injury occured, and then address that cause at its root level, your injury will likely return once you resume running. The choice is always yours. You can keep beating your head against a wall and living with some level of pain on a daily basis. You can keep throwing money away on race entry fees for races you never end up actually doing. The choice is always yours. Doc and I are here to help, when you're finally ready to SOLVE your problem and enjoy running for the rest of your life. ps: The 2nd most common response I hear from injured runners is that they'll go to see their orthopedic doctor. Really? Remember my friends, while there are many good orthopedists out there, their primary gig is using sharp toys to cut you. For many, it isn't on helping you to address the movement oriented issues that are very likely the cause of the injury. Think about it! Breaking News: Pursuit Athletic Performance to Open New Training Facility! Pursuit Athletic Performance to open a NEW State-Of-The-Art Training Facility! Here it is, the exciting news we have been anxiously waiting to share with all of you: Pursuit Athletic Performance is moving into a NEW larger, state-of-the-art training facility! We are growing and expanding! We are super-psyched and we hope you are too!! Plans are in place to offer a wide array classes for both adults AND kids (think yoga, adult bootcamp/strength and fitness, youth bootcamps, and more), and even winter long weekly INDOOR triathlons! With computrainers for cycling, treadmills for running, and Vasa Ergometers for swimming, it'll be easy! The pictures below are just a tiny SNEAK PEAK of what is to come. Construction is ongoing: the lights are still being worked on (which is why you see the glass from the lights hanging), inspirational and motivational "fathead" wall art and photos are being added daily, and much more. Each of the training spaces including mirrors and floors are still to be added. As for the computrainer studio (aka Pain Cave), it is just about ready to go! We are just a few weeks away from being ready to rock! One of many different graphics which will decorate and inspire! Side view of the main entryway and front of the building. Looking into the main training area. One corner inside what we will be our new Gait Lab! The main entrance and a wall of glass, which will be lined with TrueForm treadmills and Vasa Ergometers! More of a front wall of glass, looking out onto the woods from the top of Inspiration Lane! Looking toward the back wall where Doc’s treatment room, kitchen, and locker rooms! Looking directly at the Gait Analysis Lab! We HOPE you're as excited as we are! PLEASE tell your friends and EVERYONE you know! More information and news, including the OFFICIAL GRAND OPENING, will be coming soon! Make it a great day everyone! We can't wait to see you in Chester! We recently had Dr. Kevin Kirby, DPM on our podcast (episode 47) to discuss all things running! Biomechanics, foot strike patterns, running shoe design and use, barefoot running, and much more are topics we covered. If you missed that podcast you definitely want to check it out. Go here. 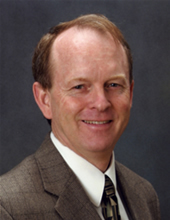 Dr. Kirby gave a new lecture on July 30th 2014 entitled: "Running Footstrike: Rearfoot, Midfoot or Forefoot, Which is Best?" One of our passions here at Pursuit Athletic Performance is dispelling training MYTHS, especially those that are hurtful to those who don't know any better. For example, one of our most read blog posts from the past was one we did on the MYTHS associated with "gait analysis," especially the kind you'll get in a running shoe store (hint: it isn't gait analysis at all!). Didn't read that one? You can find it here. We also believe it is important to highlight science-based information from true experts when it becomes available. This very recent lecture by Dr. Kirby helps us achieve both. 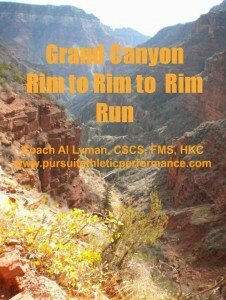 On November 16, 2012, our intrepid coach, Al Lyman, took on the 46-mile ultrarunning legendary challenge, The Grand Canyon Rim to Rim to Rim Run. The experience was truly epic for him--as is his race report! It's such a cool story and incredible adventure, we made it into an ebook for your convenience. You can access a FREE direct download by clicking here or on the cover image. Here are some excerpts from the book. There are lots of training tips and lessons learned applicable to all endurance athletes. And if you know Coach, you know it's all tremednously valuable information on how he trained, lessons learned, and a good dose of uplifting inspiration. In my opinion, many marathoners and ultra-runners routinely make the mistake of running their last long run, way too close to their event day. Nearly 20 years ago, first through reading some intriguing research and then by way of personal practice, I learned that if I left at least 4, if not 5 weeks, from the day of that last long run until event day, I'd be more "healed" from that long training run and have a better chance for success on race day as a result. Most runners make this mistake for two reasons: following poorly conceived training plans written by folks who don't know any better, and/or a lack of confidence stemming from a belief that the body will "forget" how to go long. It doesn't. We all have a philosophy - a belief system - that guides our actions and our thoughts. Every single day, in one way or another, we express our philosophy to the world and people around us, either with the words we use or the actions we take, or don't take. The approach I took to prepare for this run reflected MY philosophy. This is what I believe. In my mind, I accepted that the ONLY chance I had to be able to finish this run and remain healthy preparing for it was to approach it this way. As I considered the consequences of being wrong I got more excited! I absolutely LOVED the pressure and challenge of seeing what would happen. My intent and goals were clear. Get as strong as I could, progress my long runs making them gradually more like the Canyon run would be, and be sure to show up as rested and ready as possible on the day, using every "trick" I'd learned over many years of training and racing, to help me get ready. I knew it was the only way I'd be able to handle the increase in running miles and ultimately achieve success on the day. I had no trouble convincing my training partner Tim that the same held true for him. So, he joined me 1x per week in our Lab for 1-2 hr strength sessions where I guided him in a progressive program I designed to enhance our strength. We also, naturally, worked on proprioception and balance (to handle the undulations and knarly, loose rock trail), eccentric strength and resilience (to handle the unending downhill we'd encounter), and just plain old total body strength, especially legs, hips, glutes (to enhance our ability to power the steep ups on the trail and handle the extra weight of the pack, knowing we were going to be out there for hours). I enjoyed those sessions and I know Tim did too. Tons more good stuff in the ebook including a look at what Al would have done differently, as well as nutrition, and a great section on "What Did I Learn?" Enjoy! 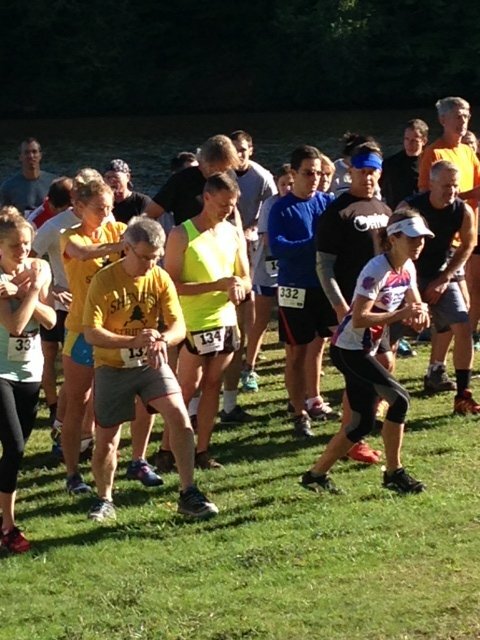 Carly Stroich-Eisley: Vermont 50 Ultra Run–This Is How Recovery Should Be! One of the ultrarunners in the Pursuit Athletic Performance family is Carly Stroich-Eisley. 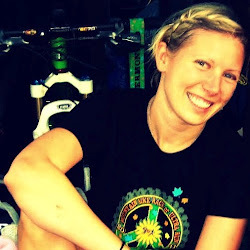 Last weekend, Carly took on the Vermont 50 ultra run. While I hope to be able to share her race report soon, I had to share her recovery check-in only three days post race. Read her words and know this is how recovery is supposed to be! A real testimony to the power of BEING STRONG. In years past, before our training together, Carly would have carried injury and pain from an effort like this for weeks on end. Instead, she knocked it out of the park. This is how an athlete who is strong, stable, balanced and durable is able to crank out year after year of performance without breaking down. How does she feel so good after a race of 50 miles through the mountains of Vermont? Many of you know my coaching philosophy is based upon restoring authentic movement and building a base of balanced strength from the ground up so that athletes can train and race to their true potential. You simply cannot train and race to your ultimate best with a body that is unbalanced, weak, and broken. Cultivating speed and outstanding personal performance is what we expect all our athletes to be able to achieve--and they do. By rebuilding the athlete's body from the inside out-- so that it is injury resistant, durable, and able to withstand more training load--we create the perfect confluence where fulfillment in sport and personal happiness is greatly enhanced. Carly is a great example of just that. Thanks, Carly! You have a great and bright future ahead of you! I am amazed at how well I was able to do in the Vermont 50, and how well I am recovering given the amount of training time I really had for this! I am walking normally, quads feel much better and I can get up and down steps and from a sitting position with no trouble today. Just had the normal post-race soreness which is mostly gone, no real pain anywhere. My right calf and Achilles were tight, lightly massaged and stretched it and feeling much better there too. I stopped and thought about it the other day, after the race... I essentially had no quality running whatsoever from the end of March until July (and the quality of my running before that is very debatable...) And I was able to bust out the Vermont 50! And in a fairly respectable time. Insane! !